Marking an end to the 7-year era of European space freighter supply to the International Space Station, ESA’s (European Space Agency) “Georges Lemaitre” cargo vehicle entered the Earth’s atmosphere and burned up over the Pacific Ocean around 12:12 p.m. Central time Sunday following a pair of engine firings that first lowered the ATV-5’s orbit, then enabled it to drop out of orbit for its fiery entry into the Earth’s atmosphere. The end to the ATV came one day after it undocked from the aft port of the Zvezda Service Module. After losing telemetry from the vehicle, ATV flight controllers at the ATV Control Center in Toulouse, France offered their thanks to the Flight Directors at Mission Control, Houston and the Russian Mission Control Center in Korolev, Russia for the years of support during the ATV program, and offered best wishes for the future years of ISS operations. Although the entry smoke trail could not been seen on ISS external cameras, Expedition 42 Commander Barry Wilmore of NASA radioed down that he could see the plasma trail as ATV descended into the atmosphere and documented its demise with still and video cameras. 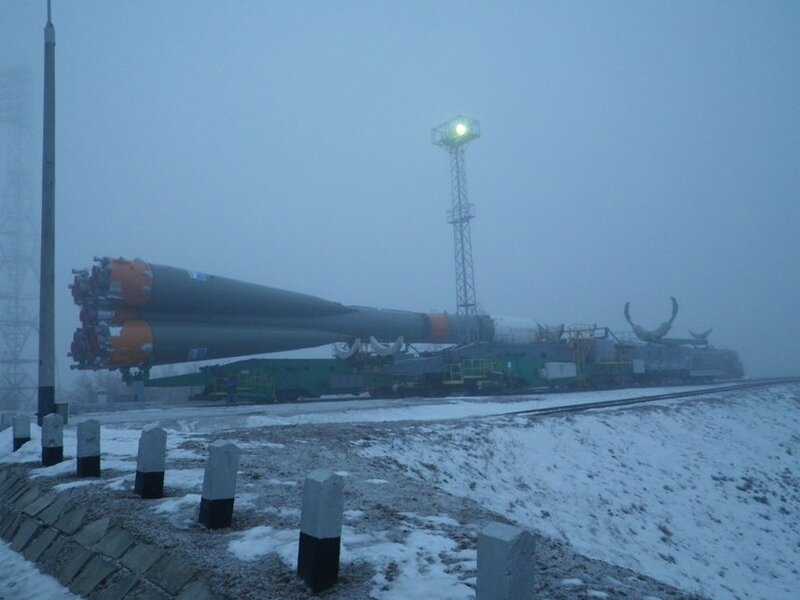 Meanwhile, at the Baikonur Cosmodrome in Kazakhstan, the Russian ISS Progress 58 cargo craft rolled to its launch pad in frozen fog and temperatures hovering around 18 degrees for its launch Tuesday morning to the station to deliver more than three tons of food, fuel and supplies. Launch is scheduled at 5 a.m. Central time, with docking to the aft port of Zvezda planned at 10:58 a.m. Central time. As the second resupply ship this week prepares to leave the International Space Station another spacecraft is being readied for its launch. Meanwhile, the six-member Expedition 42 crew was working a variety of maintenance and science tasks Thursday. Europe’s Automated Transfer Vehicle-5 (ATV-5) is being packed with its final load of trash and discarded gear. The ATV-5 will undock from the Zvezda service module’s aft-end port Saturday at 8:40 a.m. EST. It will descend into the Earth’s atmosphere over the Pacific Ocean for a fiery demise Sunday afternoon. A new resupply ship, the ISS Progress 58, is being loaded with final gear to be delivered Feb. 17 to Expedition 42 when it launches from the Baikonur Cosmodrome in Kazakhstan. The Roscosmos space freighter will orbit the Earth just four times, or about six hours, after launch before docking to the port vacated by ATV-5. The station crew also focused on spacewalk preparations and microgravity science, the primary mission of the orbital laboratory, to benefit life on Earth as well as future space crews. 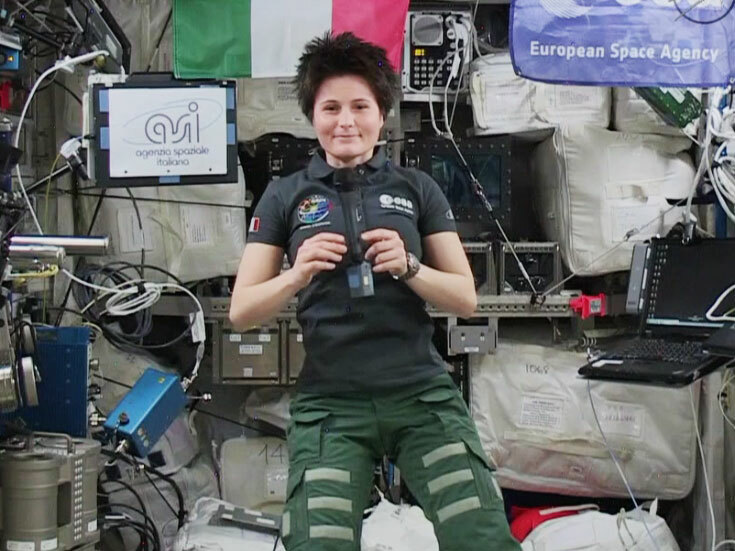 Ground doctors assisted Commander Barry Wilmore and Italian astronaut Samantha Cristoforetti during eye exams. Cosmonauts Alexander Samokutyaev and Elena Serova studied bioelectric cardiac activity as well as methods to locate punctures caused by micro-meteoroids on the station’s surface. 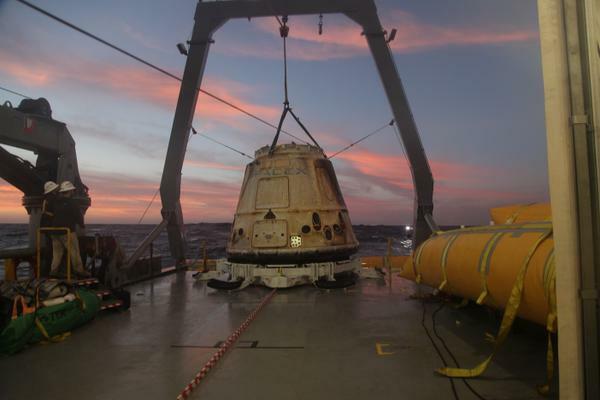 The Expedition 42 crew worked on numerous science investigations Wednesday after releasing the SpaceX Dragon for its splashdown Tuesday. The six orbital lab assistants studied such things as exercise loads in space, plant growth and changes to vision during long duration space missions. Meanwhile, another spacecraft is preparing to end its stay at the International Space Station. Europe’s fifth and final Automated Transfer Vehicle-5 is being prepared for its undocking from the Zvezda service module Saturday morning. It will reenter Earth’s atmosphere on Sunday afternoon and burn up over the Pacific Ocean. 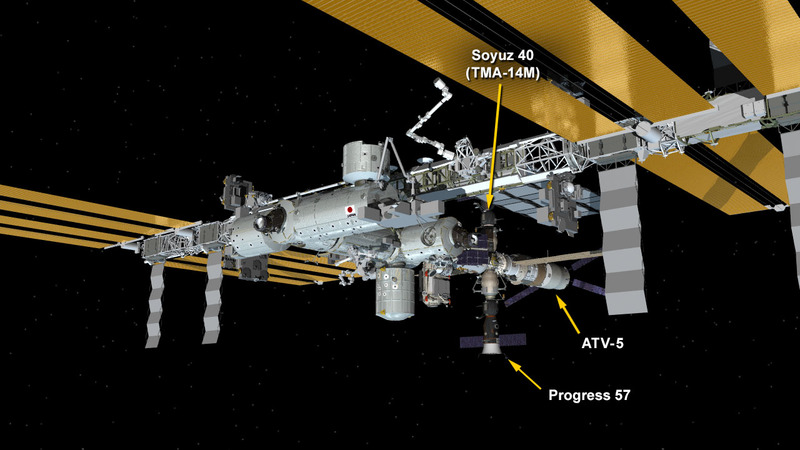 The International Space Station configuration as of Nov, 9, 2014, shows the docked ATV-5 on the aft end of the Zvezda service module. The International Space Station’s “Georges Lemaitre” Automated Transfer Vehicle fired its engines for 3 minutes, 25 seconds at 6:35 a.m. Central time today in a Pre-Determined Debris Avoidance Maneuver (PDAM) to move well away from a small piece of debris from a spent Chinese satellite (Yaogan 12) launched in November 2011. The maneuver, which was coordinated with Russian and European flight controllers, raised the station’s altitude by 9/10 of a mile at apogee and 2/10 of a mile at perigee and left the station in an orbit of 262.3 x 252.0 statute miles. The maneuver substituted for a previously planned reboost of the station that had been planned for Wednesday night which would have been required regardless to place the station at the proper altitude for the upcoming launch of the Expedition 42/43 crew on Nov. 23, U.S. time, on a 4-orbit, 6-hour rendezvous to reach the station. Without the maneuver, the debris would have passed within 7/10 of a mile of the station at 8:40 a.m. Central time. The three-person crew on the station was informed of the potential conjunction and maneuver plans on Tuesday and was never in any danger.